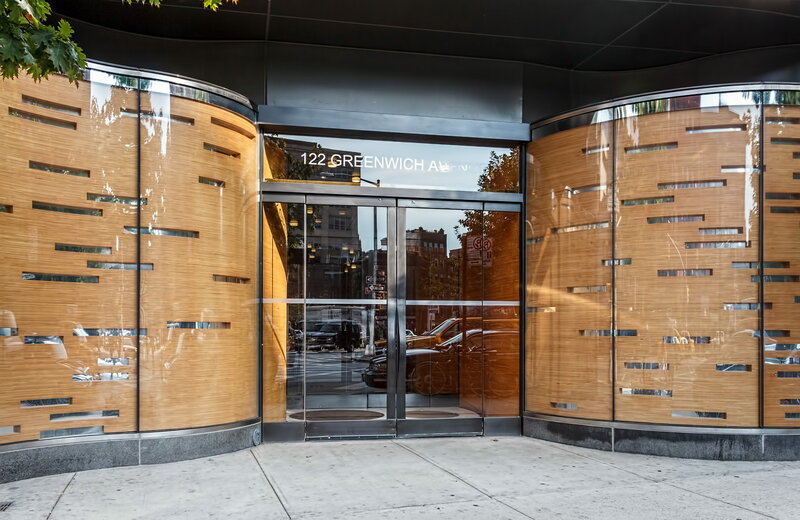 February 20, 2015 Manhattan122 Greenwich Avenue, 2011, apartments, condominium, Greenwich Village, Kohn Pederson Fox Associates, lower manhattan, Manhattan, New York City, postmodern. 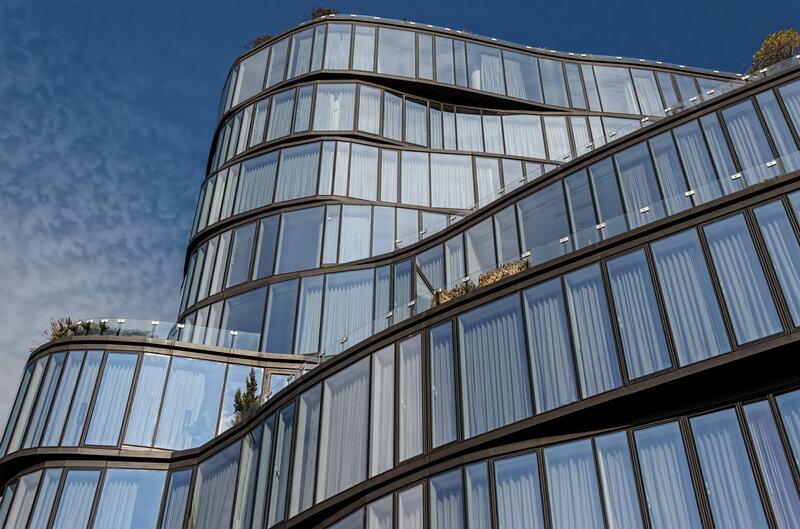 One Jackson Square is pretty slick – on two levels. 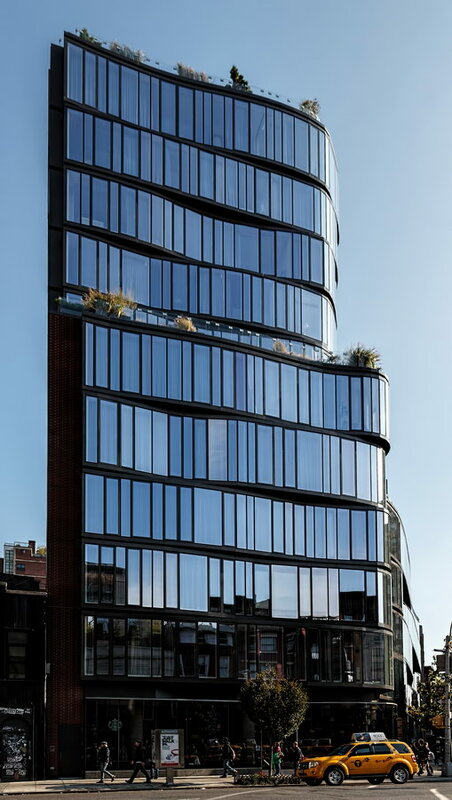 As architecture, the building’s 11 floors of undulating ribbon windows, composed of random-width panes, are an arresting composition. 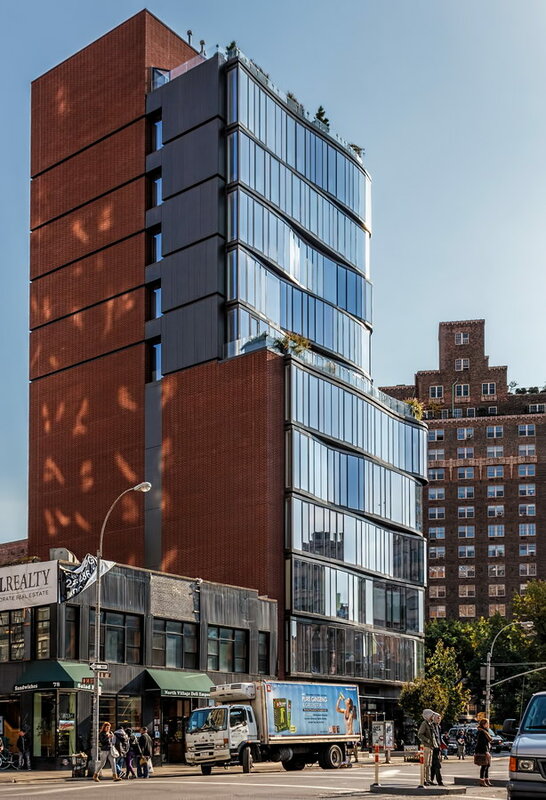 As blatant modernism blessed by the NY Landmarks Preservation Commission, the building is a coup; its architects argued essentially that the building’s very quirkiness is a perfect match for a neighborhood synonymous with idiosyncrasy. 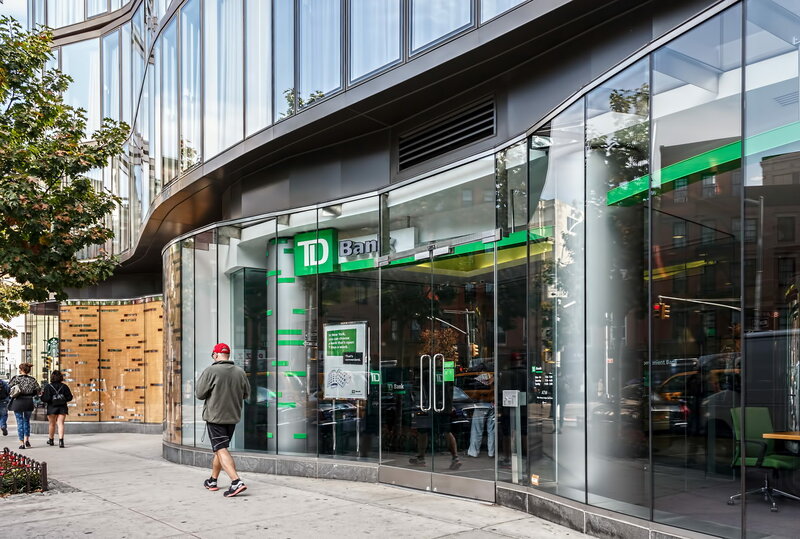 Besides, the glass facades reflect the historic surroundings. 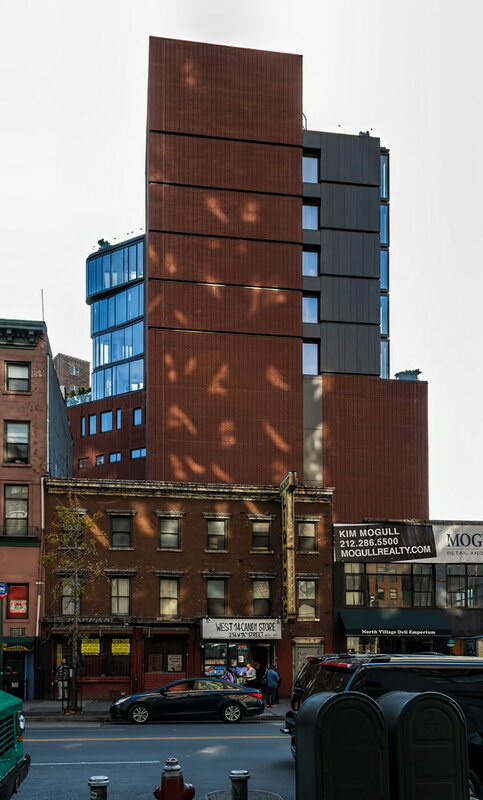 The Landmarks Preservation Commission had to approve the plans because the site is within the boundaries of the Greenwich Village Historic District. The One Jackson Square site had been a parking lot at the time that the district was designated. 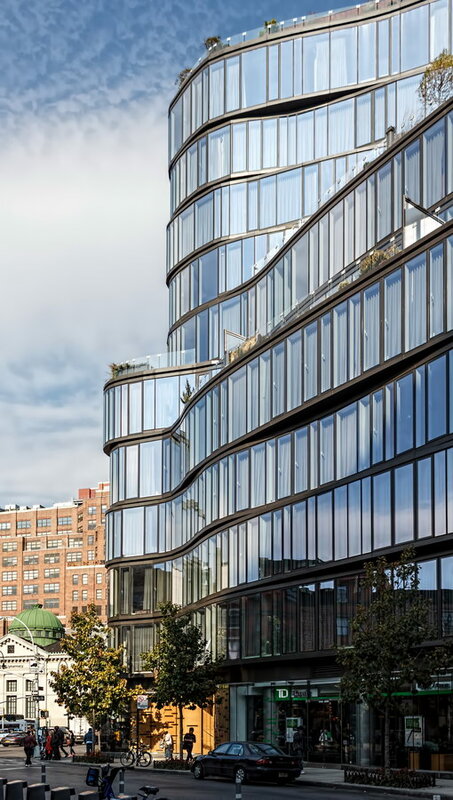 The condo project faced a few design and engineering challenges: The site is an odd shape, so the curved facade masks the unusual angle formed by Greenwich Avenue with Eighth Avenue. 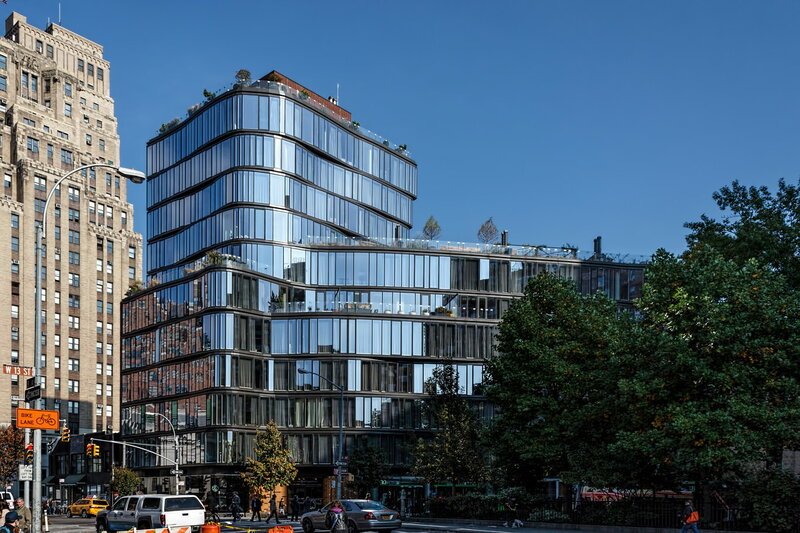 The site also spans two building code zones, so the Eighth Avenue section rises to 11 floors, while the Greenwich Avenue section is limited to seven. One Jackson Square is also on top of subway tunnels, so piles had to be driven around the tunnels to bedrock; additionally, isolation springs and pads protect the tunnels while protecting the apartments from vibrations of passing trains. 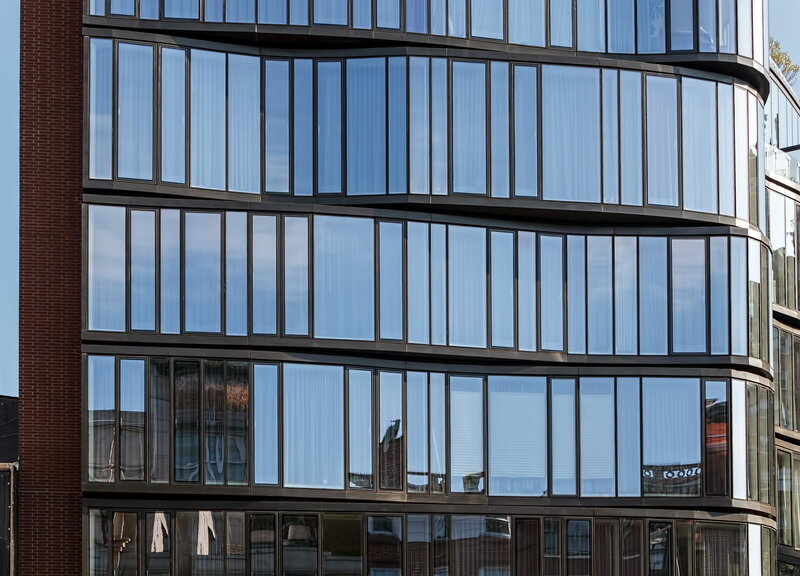 Last but not least, the free-form ribbon windows had to be assembled in small sections off-site, then connected to each other and to the concrete floor slabs. I’m not quite sure if I should apologize or take a bow: The “Suggested Reading” section is exceptionally long, because of the variety of technical, artistic and social issues involved. 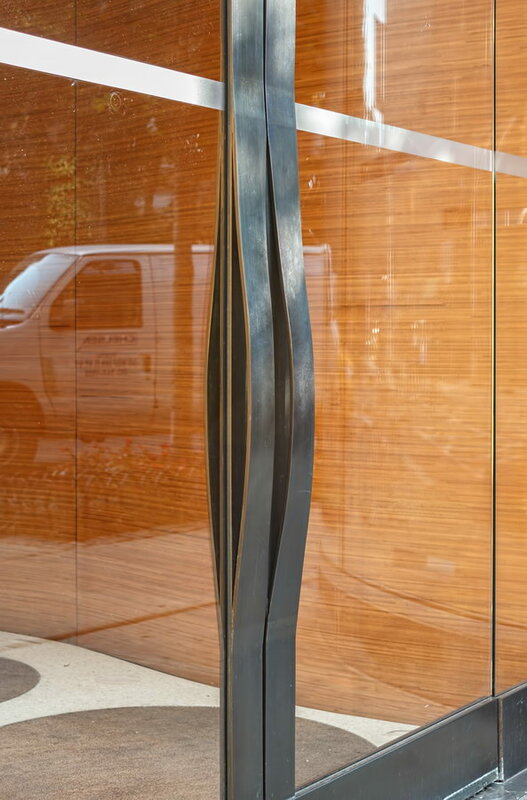 The “Forgotten New York” virtual tour is for the benefit of those not familiar with the Greenwich Village context. – K.G.